BAGHDAD - Security forces stormed a police station where gunmen were holding police and civilians hostage, bringing an end to the standoff. At least three people are dead, according to Iraqi officials. Brig. Mohammed al-Fahdawi of the Iraqi Army's 7th Division in Anbar province said three of the hostages died in the Monday morning incident along with all of the gunmen. The attackers broke into the police station in the town of al-Baghdadi, some 125 miles west of Baghdad in Anbar province on Monday. The gunmen were wearing police uniforms to disguise themselves and immediately opened fire upon entering, provincial police officials said. Then one of the insurgents blew himself up, the officials said. Among the hostages is the mayor of al-Baghdadi, whose office is on the second floor of the police station, according to the officials. This mayor of the nearby town of Hit, Hikmat Juber, confirmed the attack and hostage standoff. He said a number of officials working on the second floor of the building where some provincial offices were located were also taken hostage. The Iraqi Army surrounded the police station, said the deputy provincial governor, Dhari Arkan. It was not clear how many people were held inside the station, or whether the attackers had made any demands. The standoff demonstrated the vulnerability of the Iraqi security forces at a time when American troops are swiftly drawing down their presence after more than eight years of war. 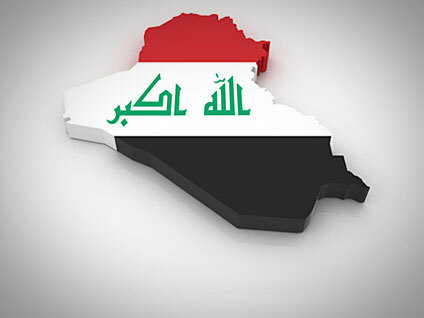 Anbar province has been a hotbed of Iraq's insurgency for years. Sunni militants aligned with terror groups such as al Qaeda often attack the local police and military who they see as traitors and supporters of the Shiite-led government. Under a 2008 agreement, all American forces must leave Iraq by the end of this year, although U.S. and Iraqi officials have been discussing whether to have a small U.S. military presence in Iraq into next year.